Learn here how to claim the guarantee of remanufactured ink cartridges or used cartridges as it is known. Remanufactured ink cartridges are a good choice when changing cartridges using the printer with these ink cartridges can save an average of 60% compared to original cartridges and new ink. These ink cartridges are used and refilled, the advantage unlike cartridges with end of life is that they are ink cartridges that have never been filled are filled by first time to sell the customer something that happens with these cartridges is that they present problems often, much more than the new original ink cartridges, but we can really expect from a cartridge for which we paid 60% less. The guarantee of these cartridges is a very important factor, as we said before these often give much problems, the recommendation is to buy these products sellers responsible, companies that are willing to send another ink cartridge replacement in case of problems. On the Internet, we can get good sales for this type of cartridges, they are advised to read the warranty policy for these products, almost most have a guarantee of full replacement, they know the risks that these ink cartridges, and must ensure full functionality of the same. We must do our part and test the ink cartridges are immediately in our hands, this seeks to detect any problems that arise cartridges quickly and get a full refund of our purchase. Even if available tools and ink to make possible the immediate guarantee is lost if we do, the seller can consider that we are the ones we hurt ink cartridges, you should give the seller cartridge as this sent us. 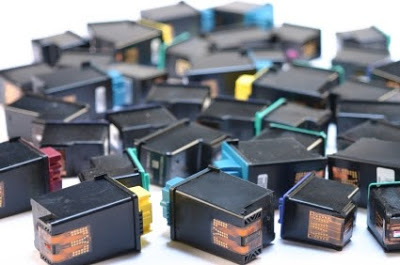 It is possible that the seller has put labels on ink cartridges to differentiate these from other cartridges or just internal business processes that remanufacture cartridges, when we remove cartridge labels the seller loses evidence that helps identify that problem really has caused the cartridge continues to function properly. The manufacturer or seller of the product requires bills to identify that day was sold ink cartridge, if it is time for damaged or if no time is a way you claim the little time you have the ink cartridge is a document signed by the seller which indicates that you have actually bought the cartridge with them, is what allows you to get a refund. This and other processes will allow us to get a refund of our purchase, proceed normally and understand that the seller may need to start a process of refunds that may take longer than normal, it is even possible that the seller request I sent to the printer verification.